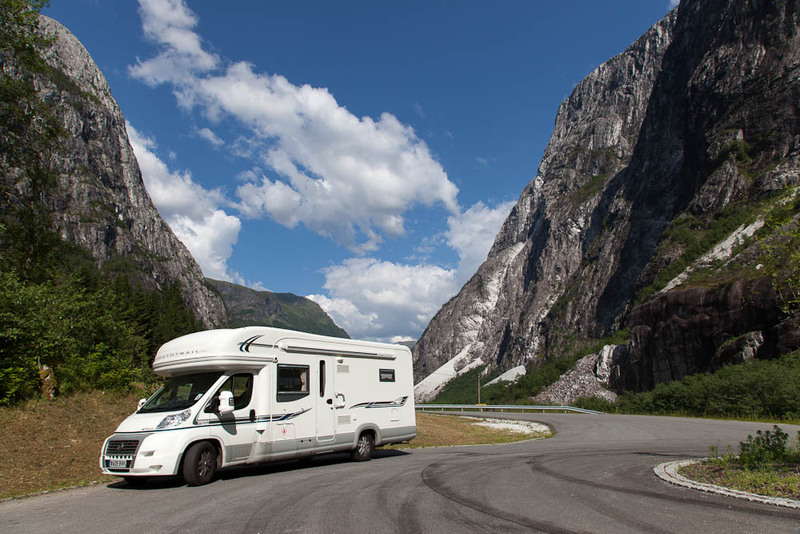 Tour Europe By Motorhome - How much does it cost to travel around Europe by motorhome for a year? We decided to motorhome around Europe for our 2013-2014 adventure, making the most of the summer weather in Scandinavia, then heading south for the winter sun. Our camper travels took us through the majority of Western Europe. When travelling long term (and not working) one of the most important things to keep an eye on is your budget. We aren't rich (or retired!) so keeping an eye on our spending was of utmost importance to us. Overspend and we ran the risk of running out of money, spend too little and we would potentially miss out on opportunities we may not have again. We kept a log of expenditure in a simple spreadsheet. Our intention is to share this information so that other travellers can benefit. No doubt each person will make different choices on how to spend their travel time, but things such as diesel, food and ferries don't change much. A view of our motorhome descending to Gudvangen, Norway.